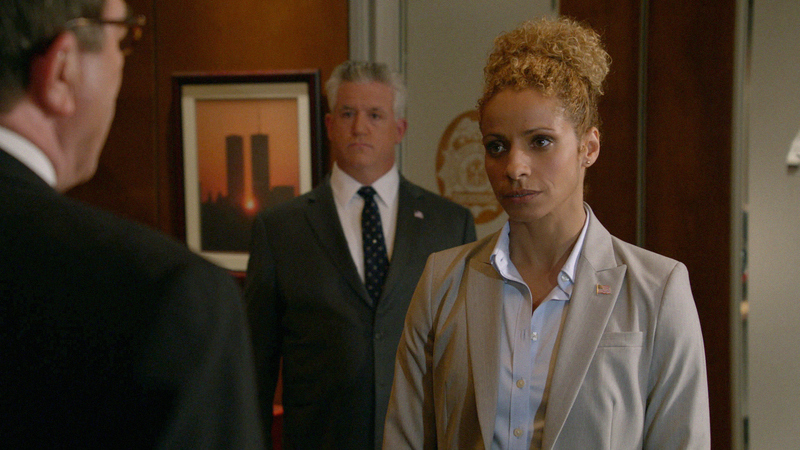 CIA Agent Anne Reynolds (guest star Michelle Hurd) briefs Police Commissioner Reagan and DCPI Garrett Moore (Gregory Jbara) about a missing NYPD Detective. Photo Credit: Best Possible Screen Grab © 2012 CBS. All Rights Reserved.